The Smitten Kitchen Cookbook is comfort food refined and perfected, and is on the level of its own genius. It is by far one of my favorite cookbooks and certainly one that I keep referring to all the time. And this review has been long overdue. 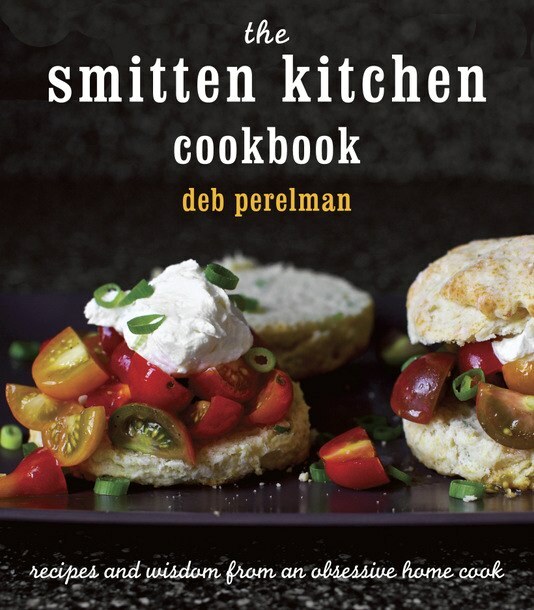 Let me tell you why I think everyone should check out The Smitten Kitchen Cookbook by the fabulous, award-winning, food blogger Deb Perelman whose blog I’ve been following quite religiously for a few years now. Her recipes are creative, inspiring, scrumptious, and yet absolutely approachable. I simply get lost every time I open this cookbook because I keep turning the pages, unable to decide what I want to make first – everything looks and is delicious. All of Deb’s recipes both from the cookbook and her blog [which you should check out here] that made it to my family’s table turned out wonderfully, and several made a few reappearances since. Clearly I can’t help but gush about how awesome this cookbook is and my opinion might be absolutely biased [but that’s why you wanted it, right?] but trust that I’m not the only one expressing my love for this cookbook. Aside all my accolades and love for it there are minor formatting pet peeves that I happily ignore in favor of my awe, but here they are nonetheless. Because of all the stories each recipe tends to run over several pages and while ingredients list might appear on page one, the recipe directions might not come until a few pages later. Also, don’t expect an index sorted by a category – it is simply a list of all the recipes in alphabetical order, which I found a bit unhelpful. Still, i think it is a beautiful, functional cookbook that any cook would love to have in their kitchen. So, do yourself a favor and check it out and I guarantee that you will fall in love with it as much as I had. I love that these recipes are approachable, so often recipe books are intimidating. I love comfort food and I am always on the look out for new dishes. Thanks for sharing it Victoria.